ROOFTOP VIP EXPERIENCE: Book The Rooftop at Fluor Field during the month of April to add on a special VIP Experience, which includes a pregame stadium tour and access to watch the Drive take batting practice! If you're looking for a unique view of Drive baseball and the Downtown Greenville skyline with your group outing, then The Rooftop at Fluor Field is the place for you! This private space located atop the Fieldhouse building beyond the Green Monster in left field can accommodate groups up to 80 people. The Rooftop at Fluor Field includes an awning for weather protection, restrooms and a service elevator for easy access. 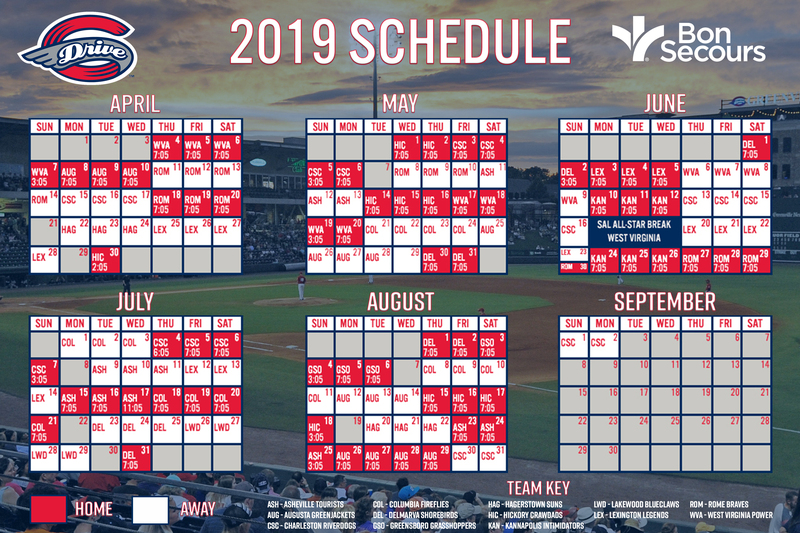 A private catering menu and a full-service bar will be available for groups in the space, so you don't have to leave your great view to enjoy all the fun of Fluor Field! Pricing, which includes a ticket and food options, is $40 per person (group minimum of 50 people).